There’s been two and a half years of non-campaigning on independence other than marches and rallies to keep spirits up. Instead of campaigning for independence, we’ve had four SNP elections with milky non-confrontational anti-politics full of slogans like “Stronger For Scotland”. To which I would ask, which Scotland? And how does this strength manifest – there’s been few SNP platforms to inspire and uplift working people. Corbyn understands little about the national question and is clearly being briefed by reactionary and independence-hostile elements in the branch office. Nevertheless, he is gaining power and popularity by articulating left solutions to social problems. Housebuilding, nationalised energy, public railways – mana from heaven for those one in four Scots who haven’t the means to save for retirement. Class still matters. And failing to recognise that lost the defanged SNP many thousands of first past the post votes in 2017. Mostly of those who have little real economic prospects and power, living on the sidelines – month to month on a miserable pay-cheque and poverty social security. Some who still turned up to the polling station looking for an ember of hope went Labour instead. While the SNP dangle on the polling precipice of going into single digit MPs, it reflects the danger for our independence movement. It’s right and proper that we communicate these concerns robustly and clearly. 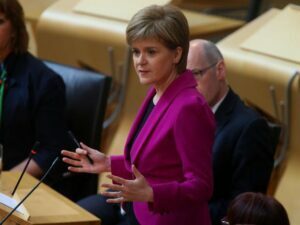 The First Minister has taken pause while Tory hard Brexit negotiations happen, to decide how and when is best to spend her referendum mandate, and a Section 30 order. Let’s take stock. The current polling has us at roughly equivalent Yes support as at 18th September 2014. At no point has there been a consistent and sustained lead. Yes supporters are split between those who want a referendum any time and those who want one later. In this light, Sturgeon’s gambit has merit. There’s a campaigning elephant in the room, Jeremy Corbyn. I had convinced myself that he was unelectable – “surely not in Tory/UKIP dominated England!” – and failing to win command of his MPs. But if the recent general election, thriving on two leadership challenges, and getting stronger shows anything – that he’s an outstanding campaigner. He may yet deliver on his leadership. That said, I’ve got no time for fantasies that reactionary elements in the legal establishment, state bureaucracy and armed forces are simply awaiting parliamentary capture by a left-leaning Labour Party. It is drivel of the highest order. Independence remains the best democratic means of rejecting toxic conservatism in Scotland. But in a second referendum on independence, the organised left are going to campaign for a great deal of what Corbyn believes in. 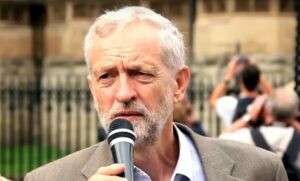 He is a powerful weapon for the union – because he is seen as benevolent, innocent of Tory and New Labour cruelty and negligence, has overtaken Theresa May in popularity, and is commanding Sturgeon-level approval. He will be a simultaneous symbol and shroud – obscuring the hostile British state. And Brexit isn’t the issue on which we will win independence. There’s enough anti-EU Yes folk to move the needle back to the union if set on those terms. As a movement, we should prepare for this. It wont be like last time – a soft social democratic offer against toffee-nose Tories and milquetoast Miliband. If there’s a campaign in 2020 or later – we’re going to know it’s our last shot. There’s a desperation in my SNP grassroots pals at the moment that’s palpable. There’s none of the confidence and flim-flam of Alex Salmond. There’s no comfort or clear direction, it’s all in a Brexit muddle. 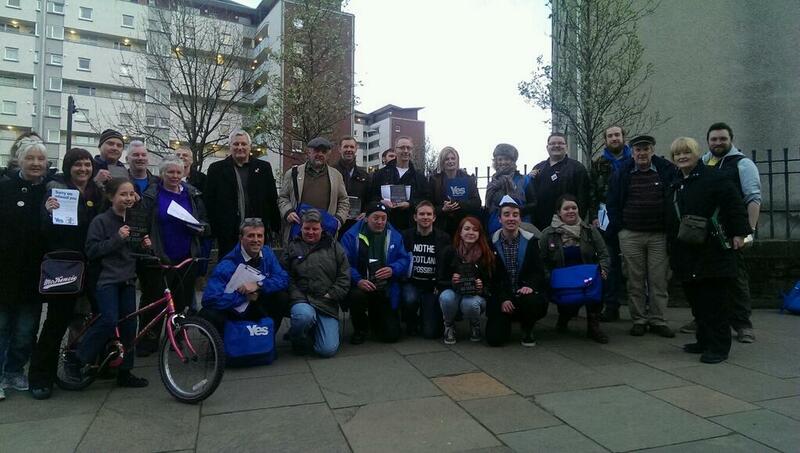 SNP activists are antsy and annoyed with electoral outcomes and the programme dealt. Anger, desperation and spun as obsessed – is going to appear poorly in the unionist media, while the SNP took a back seat on independence and class. An immediate turn towards replacing the council tax with a fairer alternative, as the SSP have advocated for nearly two decades, would go some way to muting those detractors. It would be a simultaneous anti-poverty measure saving hundreds of thousands of working class people real money and ensuring wealthier Scots pay a fair share, and a statement of post-independence intent. Given the SNP have absorbed the overwhelming majority of the Yes movement, its ground troops, and the mixed infrastructure that made up the non-party Yes groups – there is a risk that Yes loses its diverse, progressive vision. The risk is a turgid, managerial centrist campaign takes over, removed from the lives of millions. If that happens, our chances of winning will wither. Some will argue appeasing big business and placating fear is a strategy. I would learn the lessons of Quebec, where the main pro-independence party did precisely that. The Party Quebecois misinterpreted the lessons of losing the first time and slid right. The movement fractured, the polls (previously in the lead) dwindled and lost again; now the Quebec national question is gone. Not on our watch. It has never been more necessary to talk about what kind of society we want an independent Scotland to have. To agree and build a programme – a national blueprint we can campaign on – one which uplifts human potential, brings hope for the working class majority and inspires the rest of the UK into demanding much more from Corbynism.